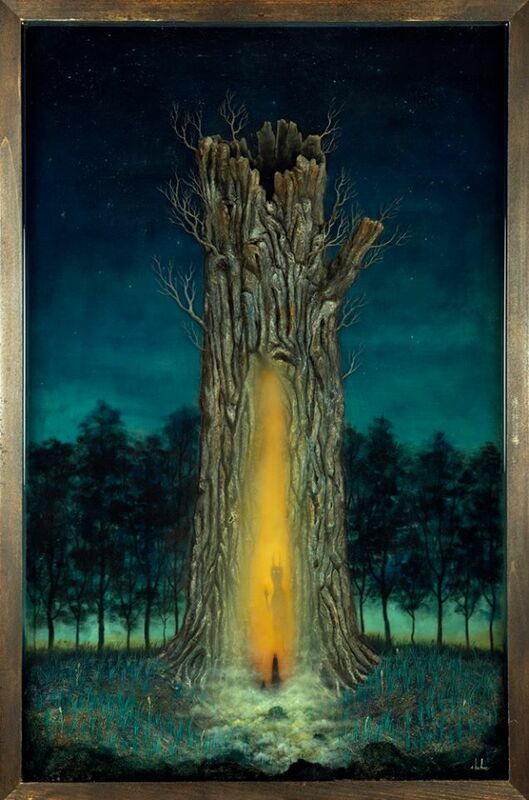 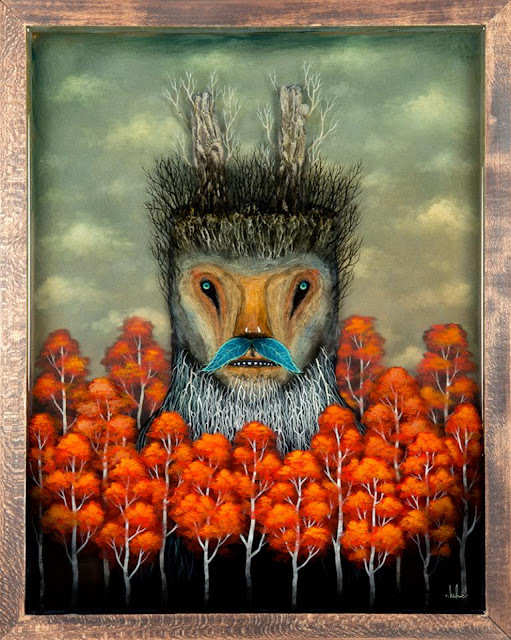 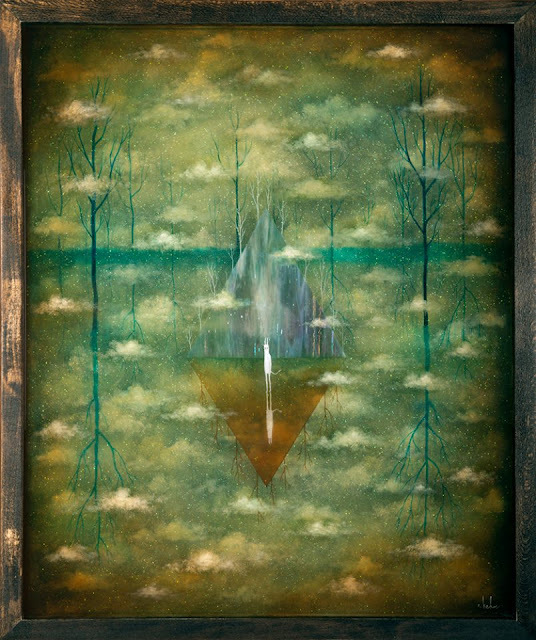 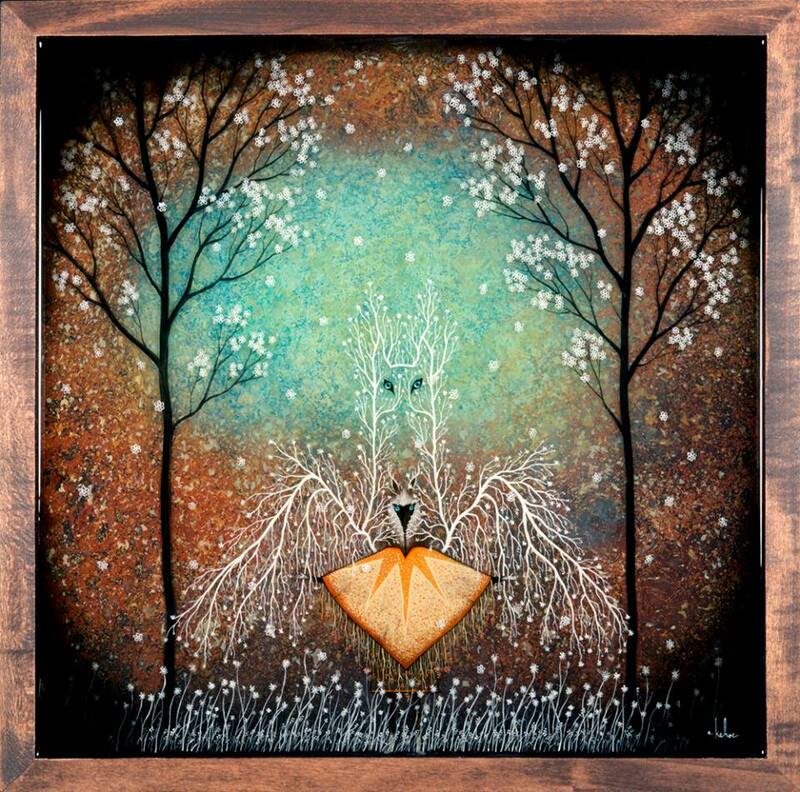 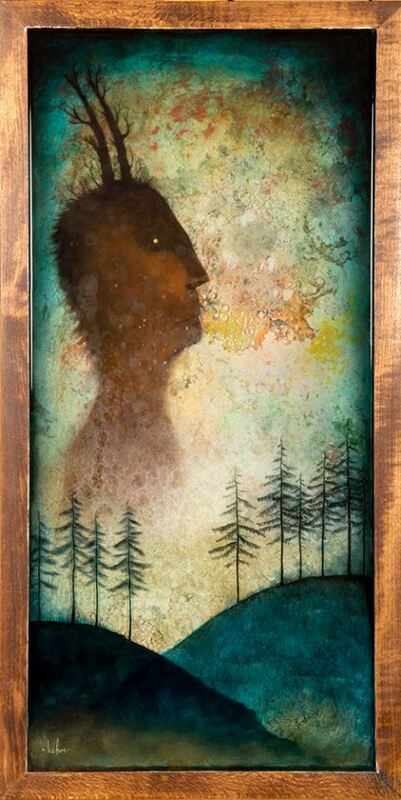 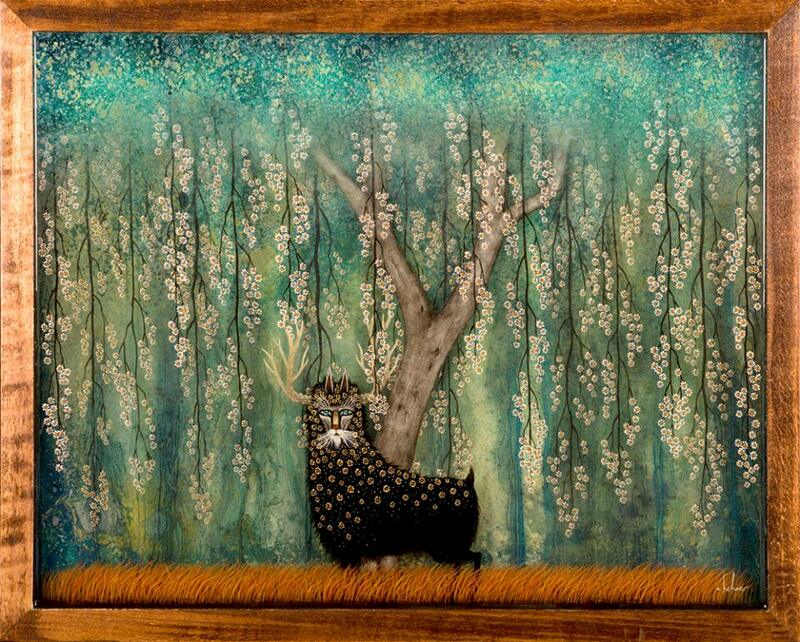 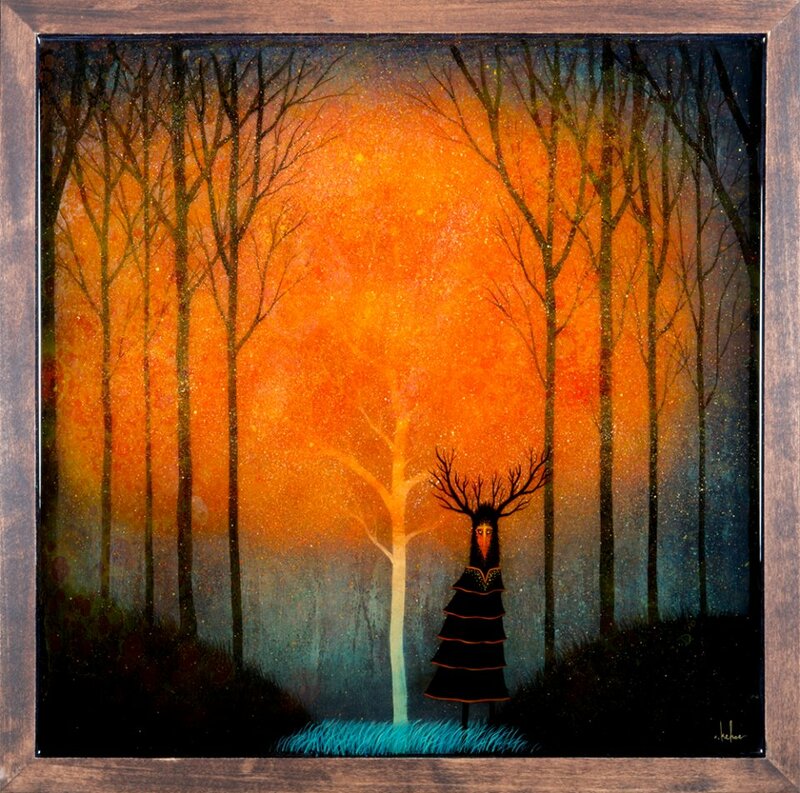 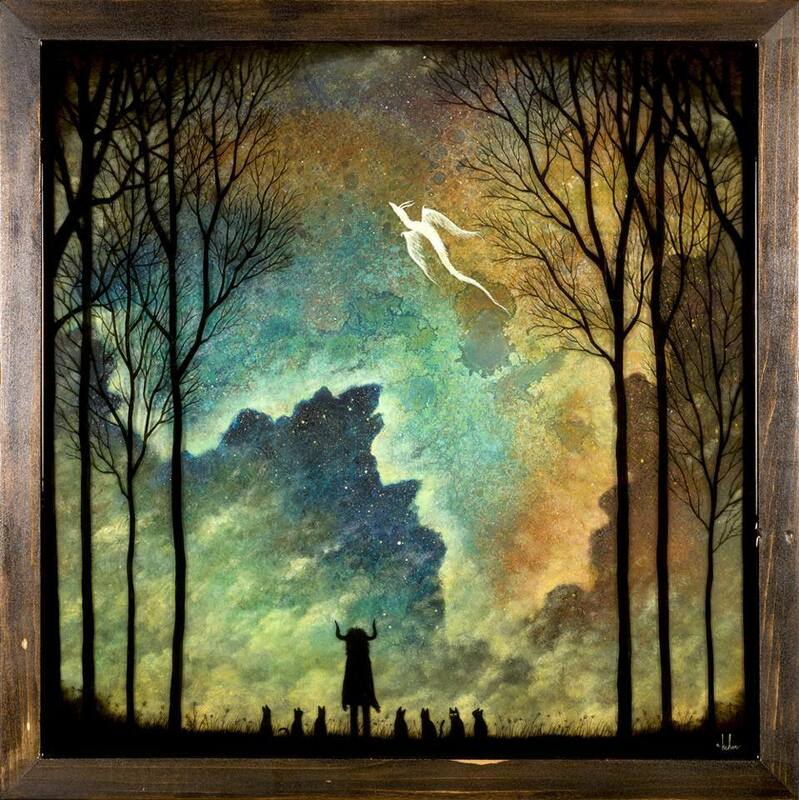 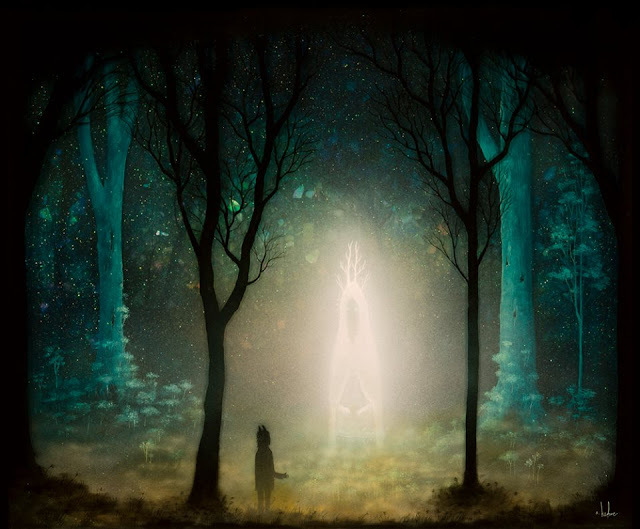 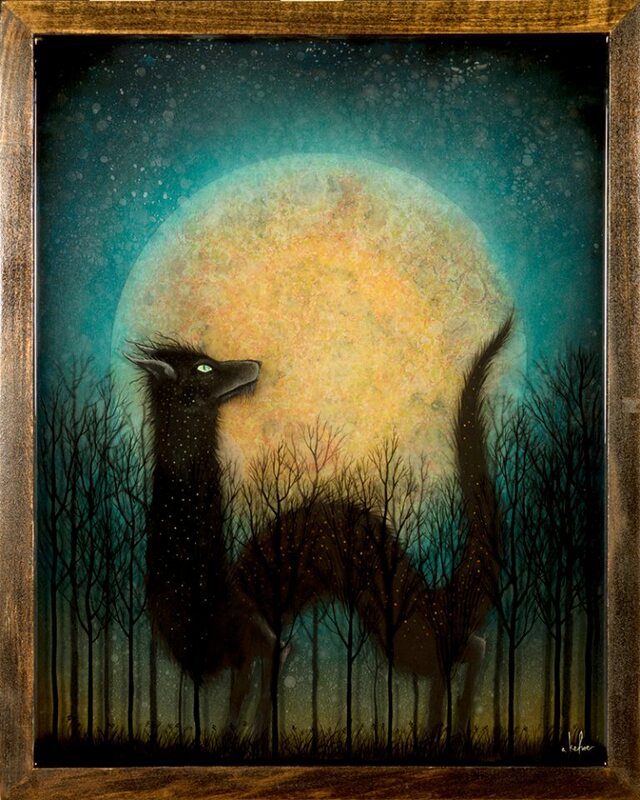 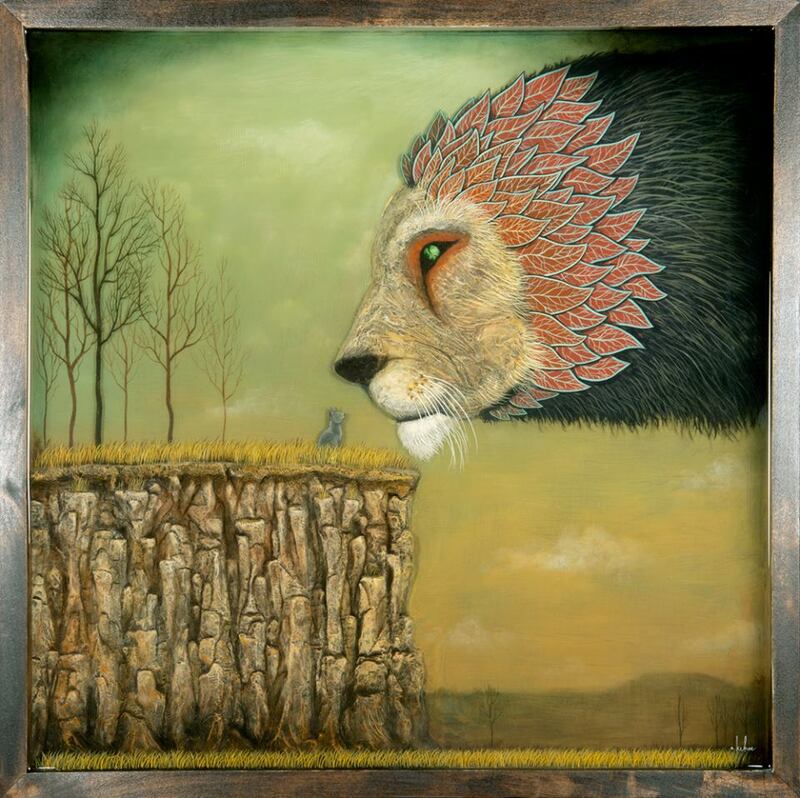 'Luminous Reverie' by Andy Kehoe at Jonathan LeVine Gallery! Andy Kehoe is an American artist who creates these incredible forest scape's with enchanting characters and spectral beings. 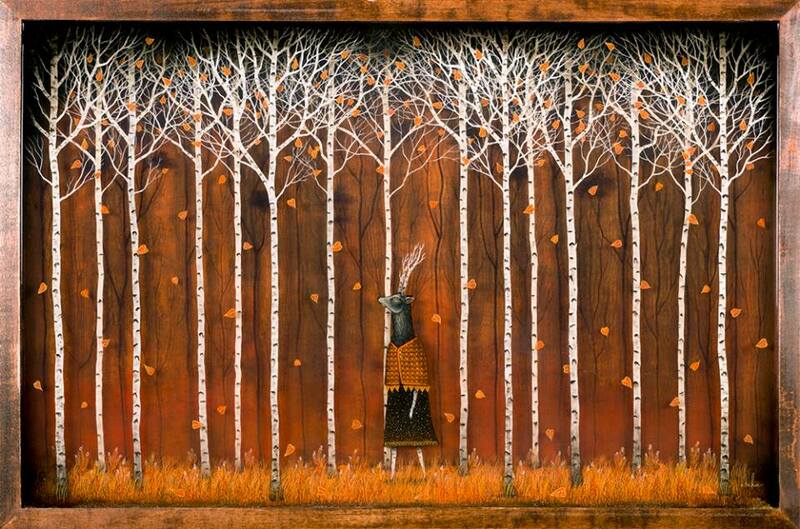 I first came across Andy's work in some art magazine and have been keeping an eye on his work ever since. 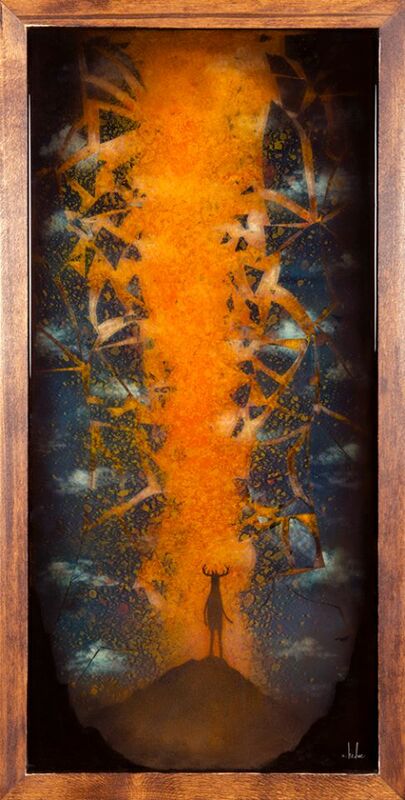 With a recent show at Jonathan LeVine Gallery in New York show casing a load of new work I thought now would be a good time to share some of Andy's amazing resin paintings. At first glance they appear quite striking, the mixture of beautifully rendered trees and landscapes combined with mythical characters and beasts, colours which almost jump out at you and yet hold a subtlety that only a true master could wield. But when you see the paintings in real life then you can see the layers and how the resin technique has been used, check out these videos on the LeVine website to get a better idea! 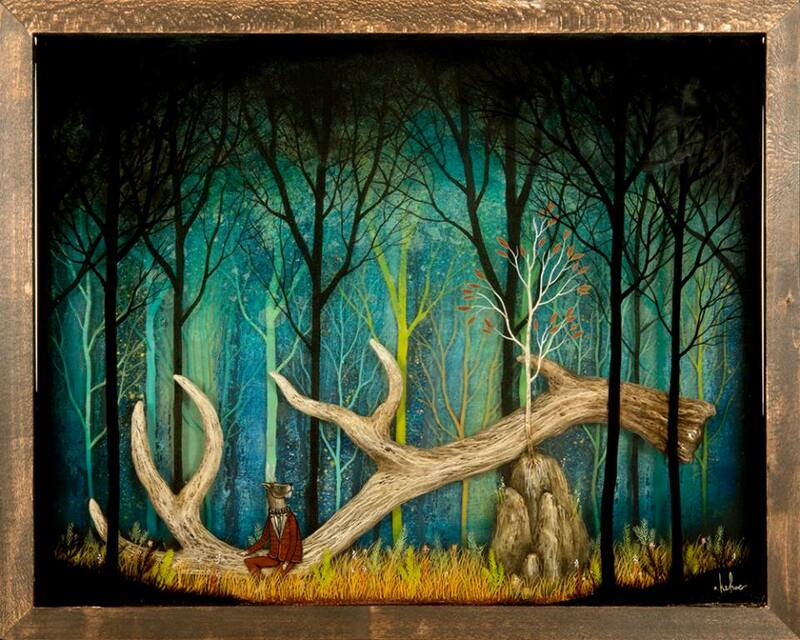 Composition, colour and depth all combine to make up an amazing body of work! 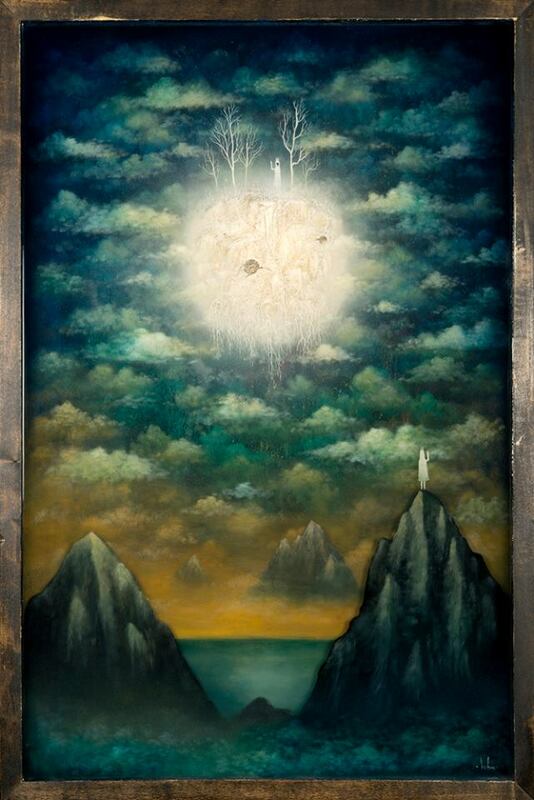 Unfortunately ill just have to make do with looking at these images below which I found on Andy's facebook page. 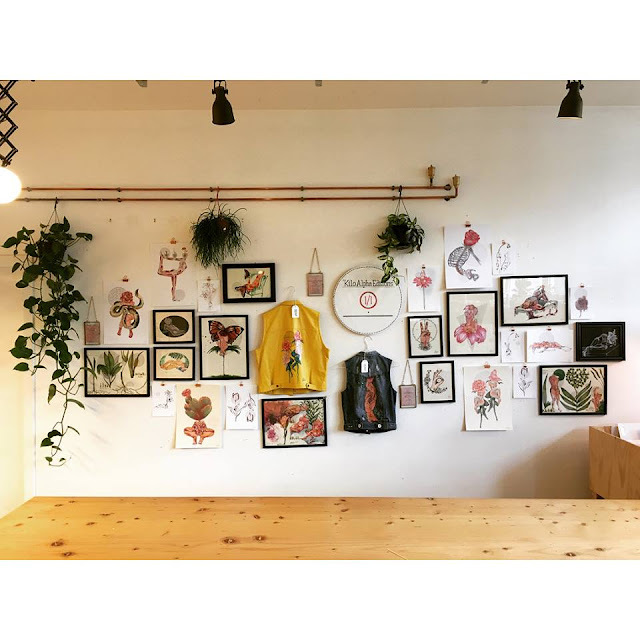 And fear not, if you wanna own a little piece of work you can pick up a selection of prints and originals via his Etsy page, some bargains at £2370! 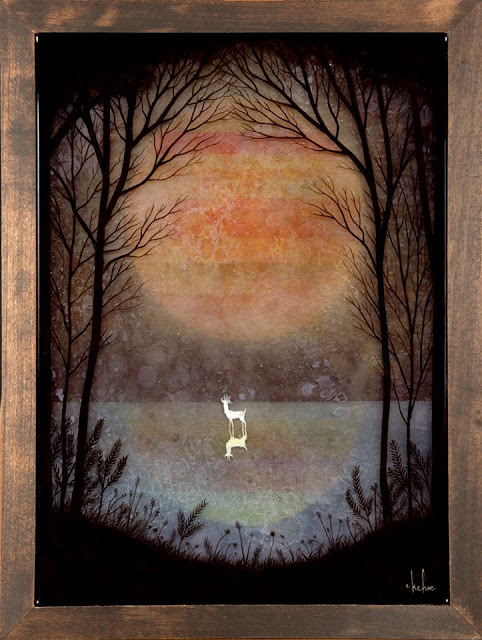 Least the prints accommodate all budgets but if I had the money I would want to see that resin shine! If your in New York anytime soon then you should drop past the Jonathan LeVine Gallery, the show runs until the 15th June!